Wondering how to list education on resume? Ask the expert your questions about education resume writing and get education resume answers quick! If you've examined the various resume templates, sample resumes, resume examples and so forth that are scattered throughout this site, then you should be pretty well-informed about how to list your education on your resume. However, for some reason, this seems to be an area that stumps tons of people. I know, because it was always one of the busiest areas here on Ask the Expert! Not only are there a dozen or more questions here, you'll find many more on our archived education questions page. 1. How do I list my education on the resume? Answer: If you never finished your education, or are on a prolonged break, then just list the number of credits you did complete and towards what degree. You may want to explain in the cover letter why you didn't finish. If you are still in the process of finishing your coursework, working on a thesis, or some such, then say the degree is "pending" and list an estimated completion date. What do I put if I'm in college but have not get completed the degree? Can I use an unaccredited school on my resume? How do I list on a resume a college I failed out of? What if my education was only a 36 hr Adult Education Course? How do I list a work-study job on my resume? What if my certificate is in question? 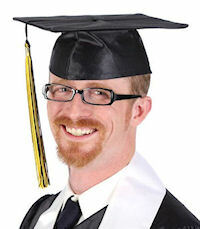 How do I list a Graduate Degree? How should past technical classes be included on my resume? How do you I show a degree not granted over financial issues? How do I describe why I failed a final in a college course on my resume? How do I list the time period of a degree that I never completed? How do I indicate I am currently enrolled in a project management course on my resume? Should I include the Master's Degree I am pursuing on my resume? Do I list my degree if I am still in school? How do I list my incomplete degree?